Marcia Bostick is the Director of Administration for the Dayton Area Chamber of Commerce, a position she has held since July 2008. She also is executive Assistant to the President of the Chamber, Phil Parker. 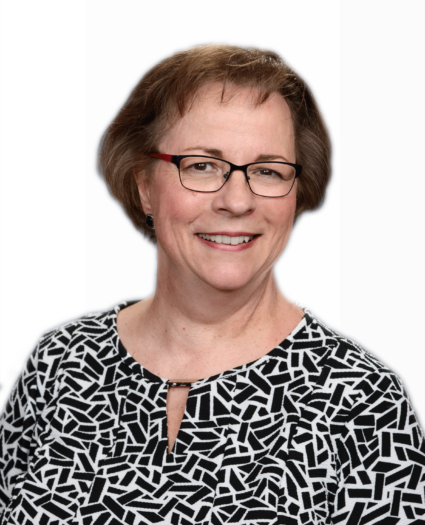 Marcia has been employed at the chamber since 1997 and previous employment includes Vice President, Property Management at Fitzpatrick Realty Co. and the Bureau of Child Support in Montgomery County. Marcia was born in Dayton, Ohio and currently resides in Huber Heights with her son Andrew. She has a daughter and son-in-law, Robin & Bob Pelles, who live in Westlake, Ohio with daughters Emily, Abigail and Madelyn. Marcia was educated in the Vandalia-Butler school system and graduated in 1972 in the top 10% of her class. She received an Associate’s Degree in Executive Secretarial from Miami-Jacobs Business School in 1976 where she was on the Dean’s List. She is a long-time member of Faith Hill Church of God in Fairborn, Ohio where she was church secretary for almost 20 years. She enjoys reading, sports, gardening and cooking. In 2006, Marcia received a kidney from her very good friend, Maureen Patterson.